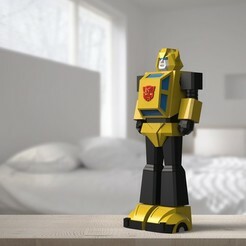 Note: I recommend downloading the Low Poly Mazinger Z v2 instead. I made several refinements throughout the design. Mazinger Z (a 1970's manga series also known as Tranzor Z in the US), was the first robot that inspired me when I was a child. The story of a hero piloting a giant robot to battle giant monsters was so cool. I especially liked how Mazinger Z emerged from the dam when the hero flew in with the Hover Pilder to dock onto its crown. I've always wanted to own a Mazinger Z toy so I decided to make one for myself and thanks to 3D printing, that dream became a reality. 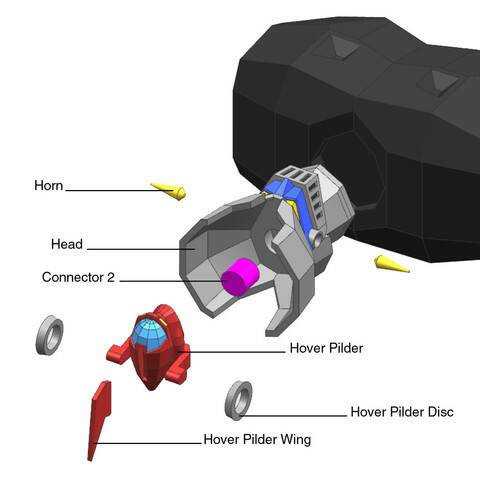 It took around 1 week to 3D model all the parts and another week to 3D print, paint, and assemble them together. Even though it's a low poly design, I feel that I've captured Mazinger Z's iconic look. 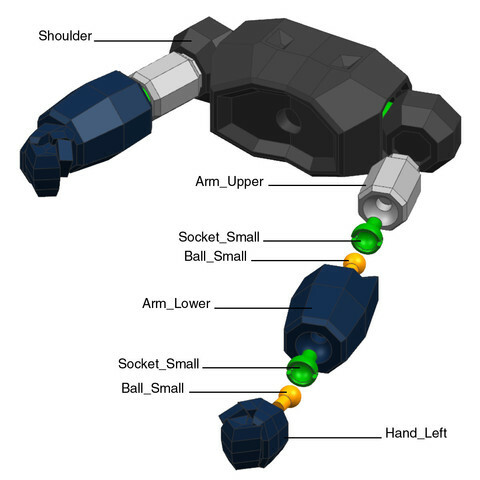 All the parts that are needed to assemble this super robot are all included when you download Low Poly Mazinger Z. 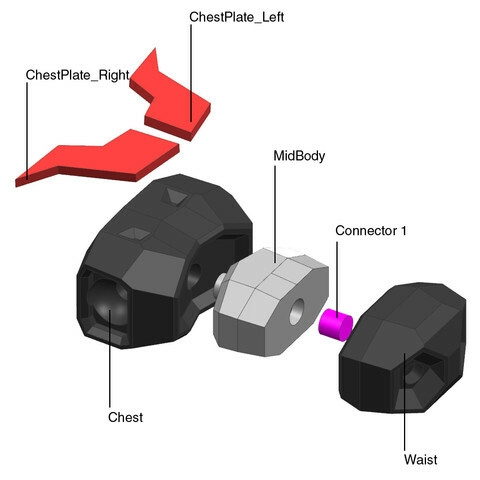 There are a lot of parts but they are simple to print with easy support removal and post-work. Please share your Low Poly Mazinger Z print on Instagram and hashtag #biglildesign . Thank you and happy 3D printing! 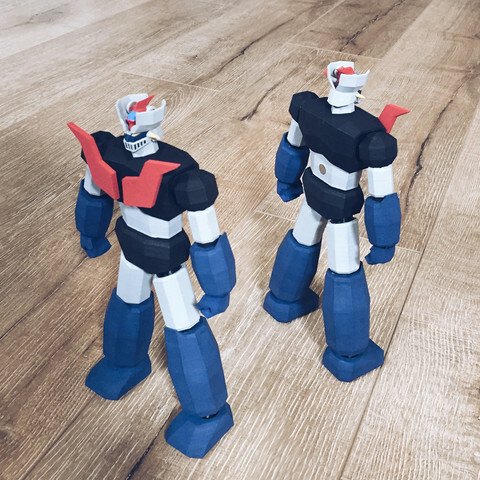 Mazinger Z was 3D printed in PLA on the Ultimaker 2 with Cura software. 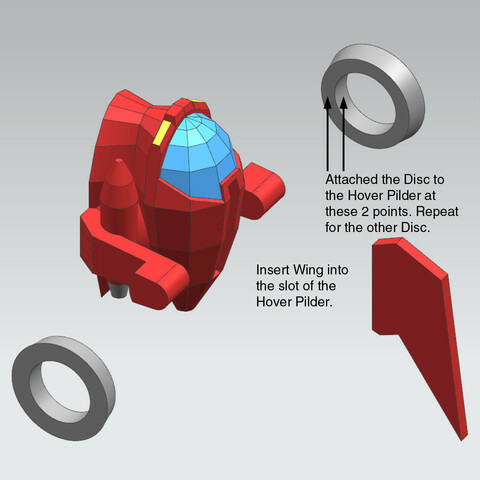 Small and detailed parts like the Head, Horn, Hover Pilder, Hover Pilder Discs, Hover Pilder Wing, Hands, and all the Joints were printed in high quality. 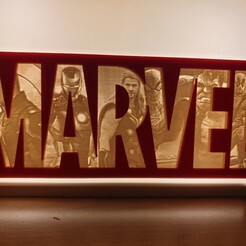 All the other parts were printed in normal quality. 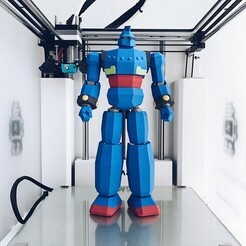 If printed at 100%, Low Poly Mazinger Z stands at 243.4mm (9.6"). 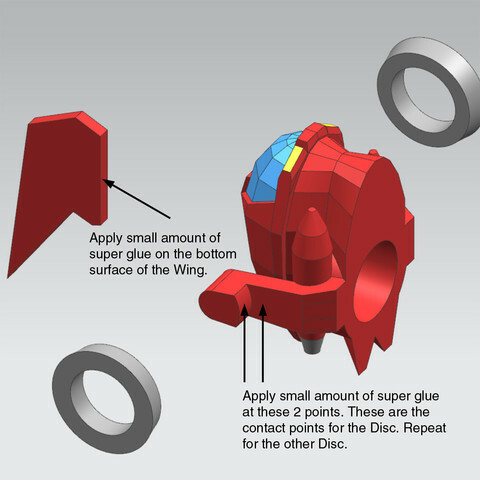 Attach ball & socket joints together before super gluing the ends to the designated parts. 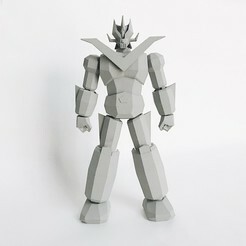 Acrylic paint was applied on Low Poly Mazinger Z. A fine tip brush is recommended when painting the Head and Hover Pilder. this is good,i like it thanks! very good .... I need you to solve my problem now. 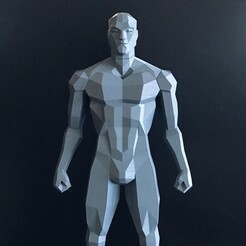 I do not give permission to sell the 3D printed Low Poly Mazinger Z in Mexico. Hi, thanks for the design, i just bought it and like it a lot. Do you give me your permission to sell it printed here in Mexico? Some people have asked for one but i want to be sure if i can do it. Good luck and happy 3D printing! Is it ok to go larger? say 200%. 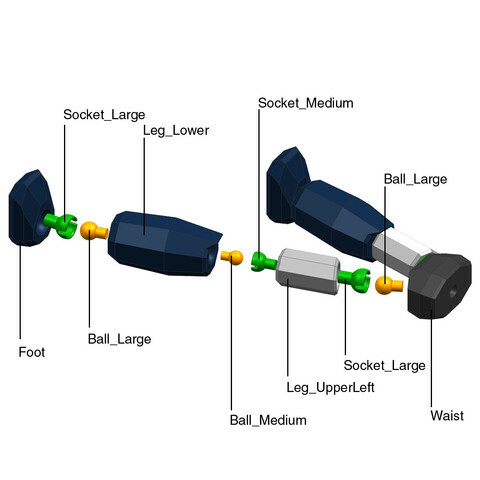 Will the balljoints work ok? Please design Aphrodite A and the other mechas! This is amazing, congrats on such a well-designed model and thanks for sharing!